The Mill, a VFX & Content Creation Studio will take the stage at Cannes Lions Innovation this year to spark debate on how the dynamic between content creators, immersive interactive filmmaking and audiences has changed, and how The Mill and our creative industry continues to push what’s creatively and technically possible. Rama Allen, ECD of The Mill in New York will be offering up his view that those who are creating stories and experiences are no longer ‘dictators of attention’ but are ‘collaborators with audiences’. He’ll explore the ever-deepening emotional connection offered by these new platforms and delve in to the creative and technical mechanisms and new groundbreaking tools we need for the future of content and film. Rama will share how The Mill approaches these new challenges through the lens of making and how we must be fearless in experimentation and proactive in working alongside our clients and partners at the point where concepting and making overlap. He’ll be using some tangible examples from Google’s ATAP, Spotlight Stories latest immersive film HELP, created with live action director Justin Lin to more theoretical exploration of phantom memory, the dictatorship of attention and manufactured magic! You can see Rama explore the frontiers of visual narrative on Sunday 21 June at 1.45pm in Auditorium A. 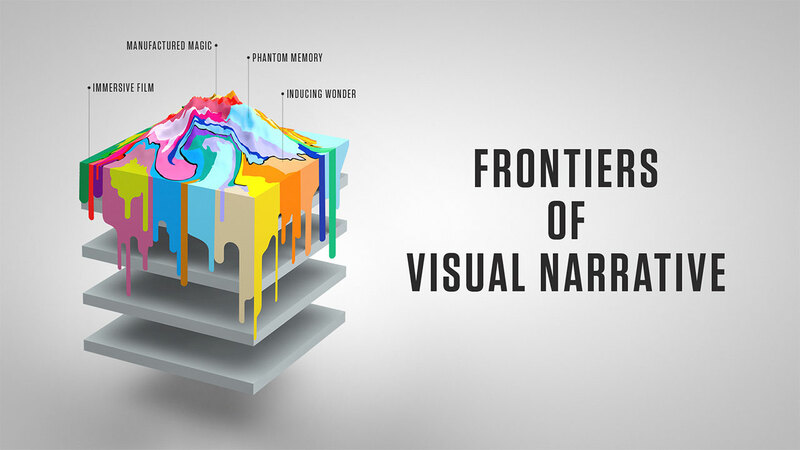 To follow the talk live, follow the hashtag #VisualFrontiers and The Mill’s official Twitter handle @Millchannel.